One Thursday lunchtime, Earth is unexpectedly demolished to make way for a new hyperspace bypass. For hapless Arthur Dent, whose house has been demolished that very morning, it’s simply the last straw! But when he finds himself lost in outer space, he discovers that the galaxy is a very strange and startling place. As he sets off on the strangest road-trip of all time, accompanied by a towel, a small yellow fish and a gang of alien oddballs, Arthur soon comes to see that losing your planet isn’t the end of the world! 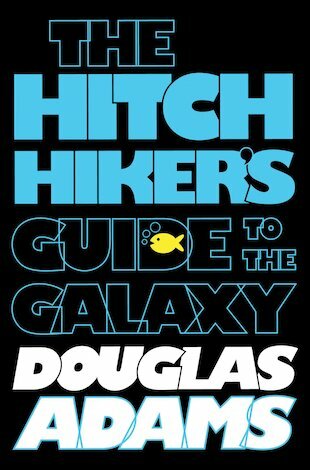 A hysterical and mega-selling sci-fi phenomenon from cult author Douglas Adams.